As hard as it is to believe, the holidays are inching closer (only 10 weeks left until Christmas! )…which means it’s time to start thinking about gifts for family & friends. I typically start my shopping early & try to find presents that fit within my budget, but will also be meaningful. 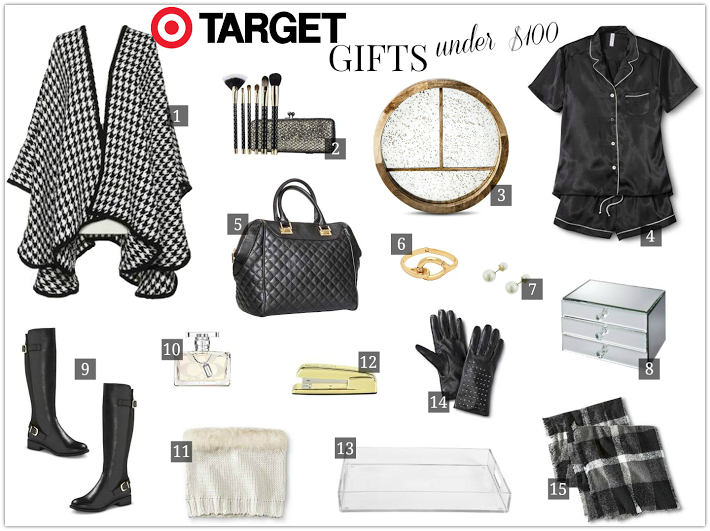 So, I’ve partnered with ShopStyle today to share with you my top picks in a gift guide for Target. I focused on pieces “for her” that include items I’d love to receive myself and are all priced under $100. You can view the full gift guide here & check out Andee Layne of The Honey Bee’s budget-friendly stocking stuffers here. If you’re like me & shop at Target on a weekly (if not daily) basis, I highly recommend signing up for a Target Red Card. I don’t know why we took so long to do it, but now I tell everyone I know about how great it is. 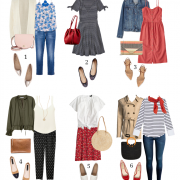 You can link it up with your debit card, so it pulls straight from your checking account (no annual fees) & you get 5% off all your purchases, free shipping on online orders + an extra 30 days for returns.